Here’s a not-so-fun fact for the day — approximately two-thirds of all Americans do not drink enough water. 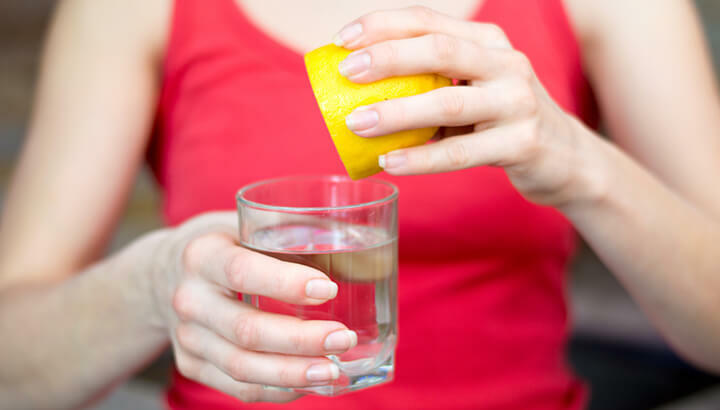 This is resulting in chronic dehydration, an issue that is completely preventable. So what’s the solution? Make a conscious effort to drink more water — sounds pretty simple, right?. As soon as you awake, before you turn on your coffee machine, drink at least one large glass of water to kickstart your day. Then, throughout the course of the day, continue to sip away. After the first couple of days, if you’re serious about improving your health, you can take this regimen one step further. Each day, drink water that has been souped-up with cayenne pepper, lemon and maple syrup — and besides a couple of exceptions, that’s it. This combination will help you boost your health in a wide range of ways, without much true effort. This will be a mind-over-matter cleanse that could potentially launch your new way of living. Here’s how to get started and what this new routine beverage can do for you. Cayenne, lemon and syrup, oh my! I’m not just pulling random ingredients out of my derriere here. This combination is what’s known as the Master Cleanse — a concept that was first developed in the 1940s. When taking on this challenge, you will eliminate food from your daily diet, replacing it with tea and a “lemonade” that’s made with the three ingredients mentioned above: lemon, cayenne and maple syrup. This hot spice enhances detoxification while stimulating circulation. When consumed on a regular basis, you will reduce acidity in your body and restore balanced blood glucose levels. From enhanced metabolism to a healthier gut, cayenne supports the elimination of toxins and bacteria. 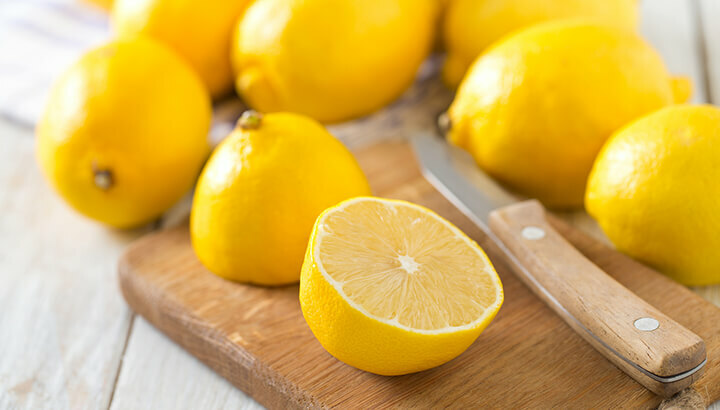 Rich in antioxidants, lemon promotes optimal pH levels, enhancing overall immune function. From nourishing the brain to stimulating the liver, this citrus fruit offers antibacterial and anti-inflammatory properties. Being a Canadian gal, I’m no stranger to freshly tapped maple syrup. Rich in nutrients, including protein, fat, carbohydrates, vitamins and minerals, real maple syrup is natural and unrefined. Offering antioxidants, this sticky and sweet syrup enhances digestion and promote clearer skin. And of course, it is a healthier alternative to processed sugar. If you’re ready to kickstart a healthier version of yourself, here are some of the key reasons to start this potent cleanse. When you stop eating solid foods, especially the types of foods we’re exposed to in our modern society, you will essentially give your body the break it needs. In that sense, this break from solid foods alone will likely cause most individuals to lose weight. The key here is to put the brakes on unhealthy eating habits. Although this can be kind of a “shock” to the system, for those who do not currently follow a healthy diet, you’ll likely benefit the most. If you’re already an individual who consumes a clean, vegetarian diet, for instance, you’ll be less likely to benefit by eliminating healthy foods from your daily routine. The takeaway: If you often eat fast or processed food, without giving your body the tools it needs to repair, treat this cleanse as the first stepping stone. It’s a great way to hit the “reset” button as you embark on a healthier, cleaner lifestyle. For those who often juice, you know that this process is generally easy on the digestive system. Once water and nutrients are extracted, they become readily available for your body and quickly find their way into your bloodstream. Compared to a steak or a hamburger, your digestive system doesn’t need to work as hard. With this cleansing combo, once again, you give your digestive system a well-deserved rest. In a way, you’re giving this vital system a chance to “catch up” and repair. 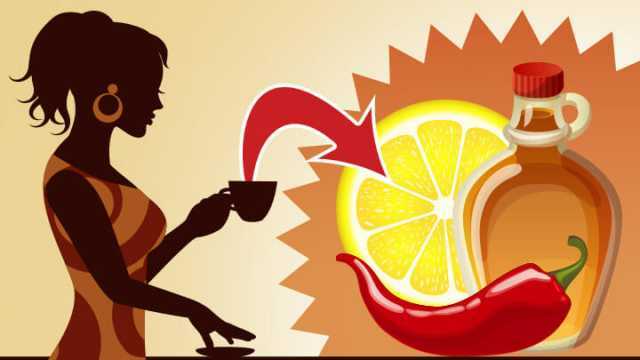 The addition of cayenne and lemon allows your body to purge. This will support the elimination of toxins, while the maple syrup provides nourishment. The takeaway: Your digestive system is likely overworked. From your mouth to your gallbladder, this system needs a break. For those who often suffer from constipation, this cleanse will help refresh and cleanse the bowels. Moving forward, be sure to include plenty of probiotic-rich foods in your diet. For some, especially those who already follow a clean, nutrient-rich lifestyle, they may experience lower levels of energy. Once again, this cleanse is ideal for individuals who want to make significant changes to their diet and create new habits that support their well-being. When living off the Standard American Diet, individuals are hopped up on sugar and caffeine, which are not optimal sources of energy. At the end of the day, you need real nutrition — something to seriously consider after this cleanse is complete. After the first few days of the cleanse, many say they no longer think about food and in a way, they feel lighter and have more energy. The takeaway: Although fatigue is one of the possible side effects associated with this cleanse, it’s setting you up to achieve a lifestyle that promotes sustainable energy. Once you eliminate the factors that essentially bog you down, you give your body a chance to purify cells and utilize sources of energy more effectively. Unfortunately, many of us are walking around in a daze without being aware of it. The foods we consume directly influence mental clarity and our ability to focus. For the first couple of days, you may not experience enhanced clarity, as you will likely be focusing on your grumbly tummy. Once this initial effect subsides, you will likely experience an improvement in your ability to concentrate. This benefit will most likely affect those who experience a daily afternoon slump or post-lunch brain fog. As you reduce inflammation in your body, this fog will clear and your neural health will improve. The takeaway: Living off of an imbalanced diet will result in a lack of focus and attention. Moving forward, eliminate foods that contribute to this effect, including refined carbohydrates, added sugar and unhealthy fats. Instead, consume more avocados, fish, blueberries and dark chocolate. At the end of the day, this cleanse is meant to be a new beginning. As you flush away toxins, flush away all of your bad habits too. If you complete all 10 days, then you will have proved to yourself that yes, you’re serious about taking your efforts to the next level and that you can adopt new, healthier habits. When you step back, you quickly realize how dependent you have become on sugar, fatty foods and stimulants. After your cleanse, adopt one new healthy habit each day for the first week and continue that cycle. From meditation to improved sleep, small changes will turn into new routines. This cleanse is designed for those who are ready to take drastic action. If you have been living your life, heading down a path that is destructive to your health, hit the reset button. Start chugging back cayenne, lemon and maple syrup. With the right intentions and attitude, you will come out as a new person — one who is serious about achieving greater health. Hey Buddy!, I found this information for you: "4 Reasons To Drink Cayenne Pepper, Lemon And Maple Syrup In Water Daily". Here is the website link: https://www.thealternativedaily.com/drink-cayenne-pepper-lemon-maple-syrup-cleanse/. Thank you.